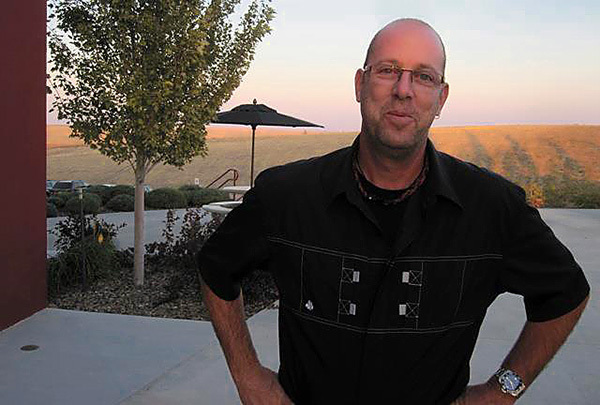 Sawtooth Winery will showcase their wines that enhance the spirit of adventure, the mystique and the natural beauty that lies within the snowcapped mountains crisp, clean rivers of Idaho. 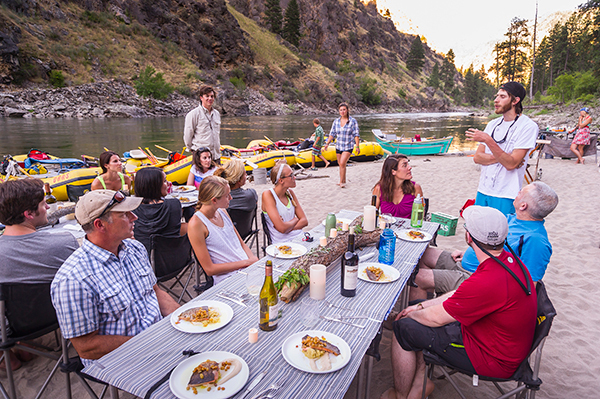 Although all river trips with OARS offer delicious and hearty food choices, the Main Salmon Wilderness Gourmet Adventure is a river-loving foodie’s dream: gourmet, fresh and often organic meals prepared by a renowned chef, paired with regionally sourced wines and micro brews. 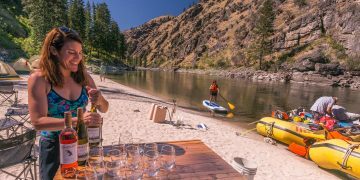 The impressive cuisine will be restaurant quality, matching delicious food with exciting whitewater and gorgeous scenery on this all-inclusive adventure like no other. 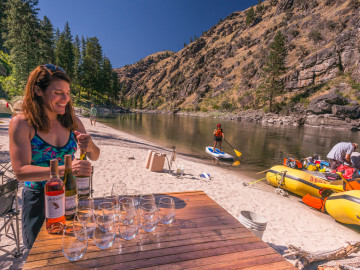 Perhaps the most popular rafting trip in Idaho and the main section of the longest undammed river in the mainland U.S., the Main Salmon offers a rich river experience. Inappropriately dubbed the ‘River of No Return’ by early river runners, the Salmon is in fact a river you’ll want to return to repeatedly. 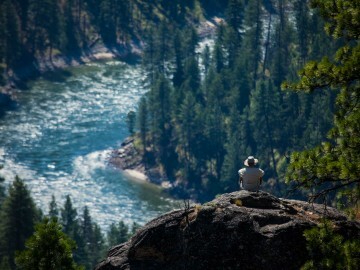 The Wild & Scenic Main Salmon is ideal for our full fleet of watercraft. Guests may ride in an oar boat one day and a wooden dory the next, then challenge the whitewater hands-on in a paddle raft, SUP or inflatable kayak. 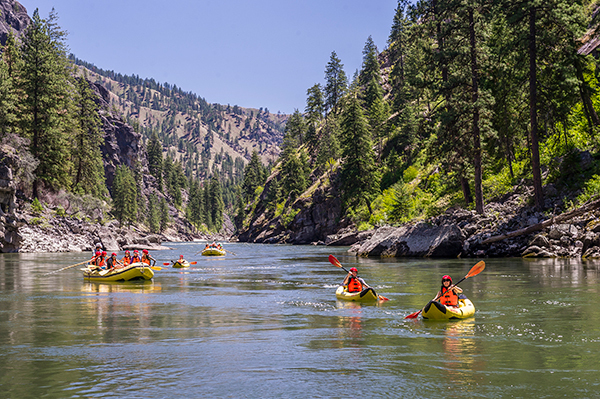 Free-flowing Class III whitewater that’s great for any age and experience level, big sandy beaches perfect for camping and playing, beautiful mountain scenery, abundant wildlife, and a natural hot spring are among the hallmarks of the Main Salmon River.